Rorate, caeli, desuper, et nubes pluant justum, aperiatur terra, et germinet Salvatorem. Drop down dew, ye heavens, from above, and let the clouds rain the just: let the earth be opened and bud forth a Saviour. 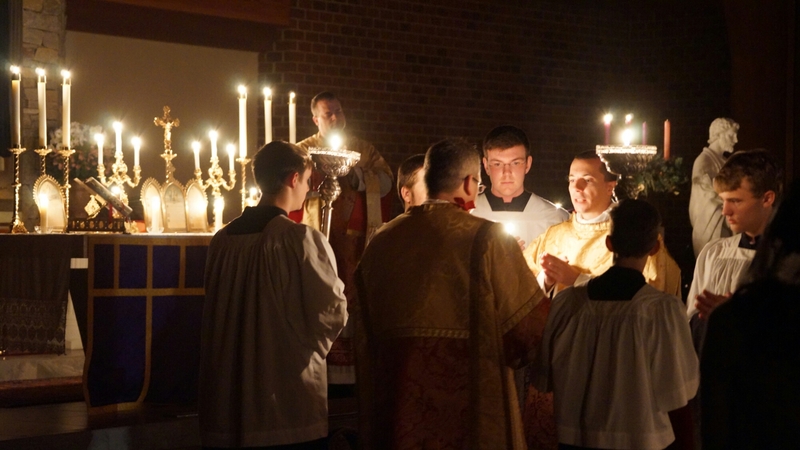 Saturday marked the fourth consecutive year that a Rorate Mass has been offered at St. Thomas Aquinas Church in Charlotte, North Carolina. 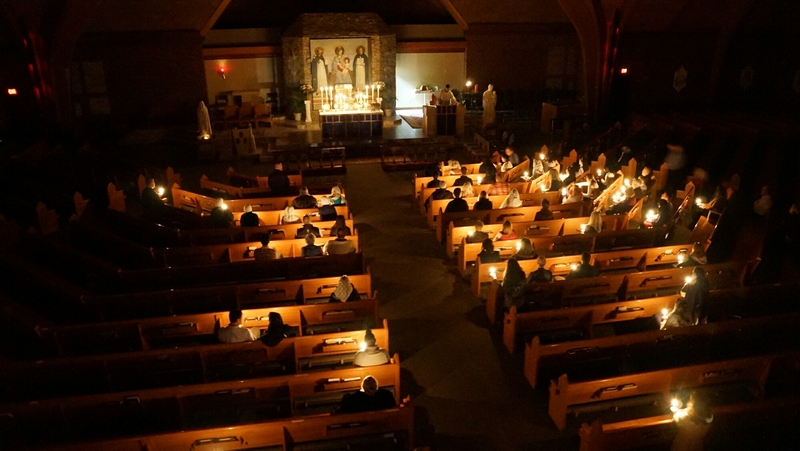 As the Mass began before sunrise, the Church was illuminated only by candlelight. 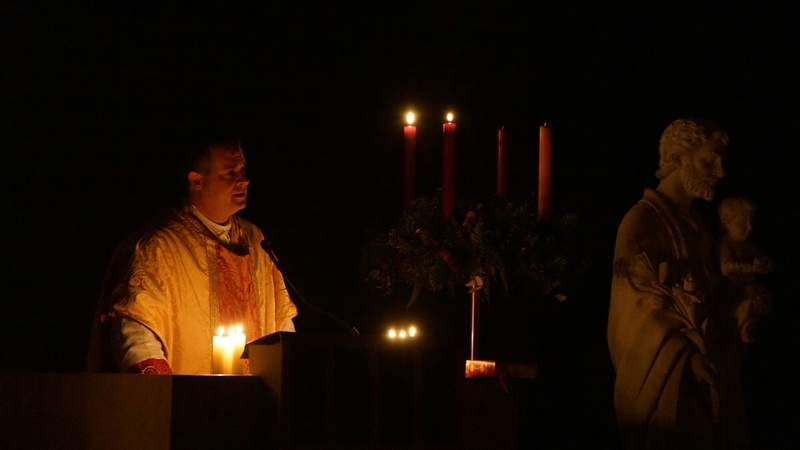 Because the Rorate is a votive Mass to honor the Blessed Virgin Mary, white vestments are worn instead of Advent violet. 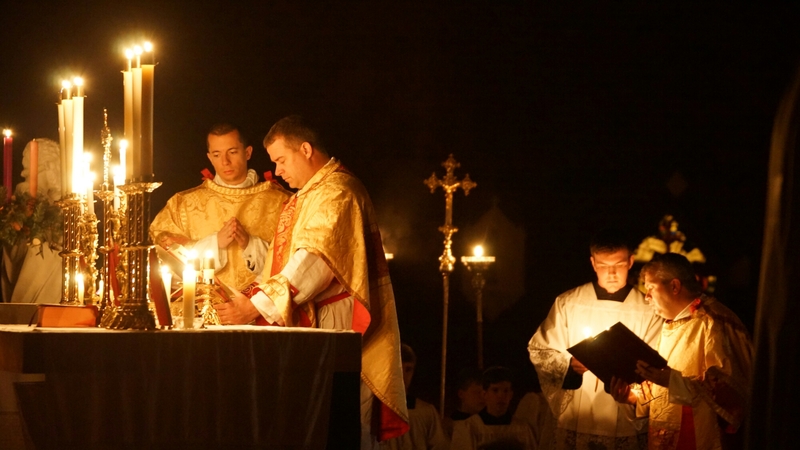 Father Matthew Kauth offered the Holy Sacrifice, with Father Jason Christian serving as deacon and pastor Father Patrick Winslow as subdeacon. 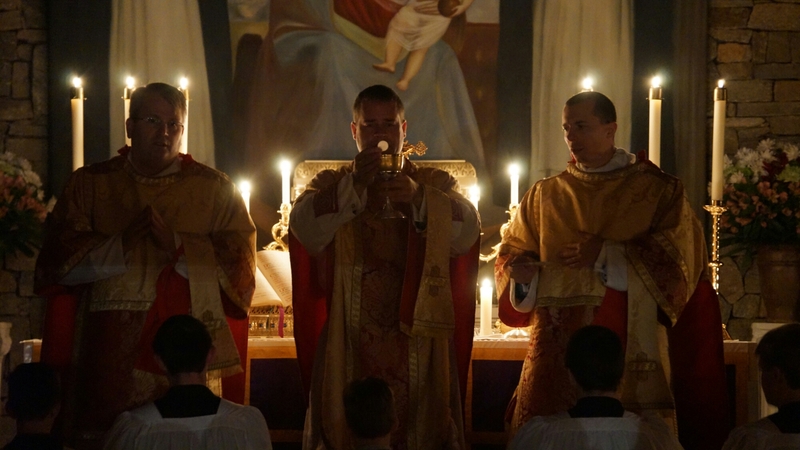 All three men are priests of the Diocese of Charlotte. 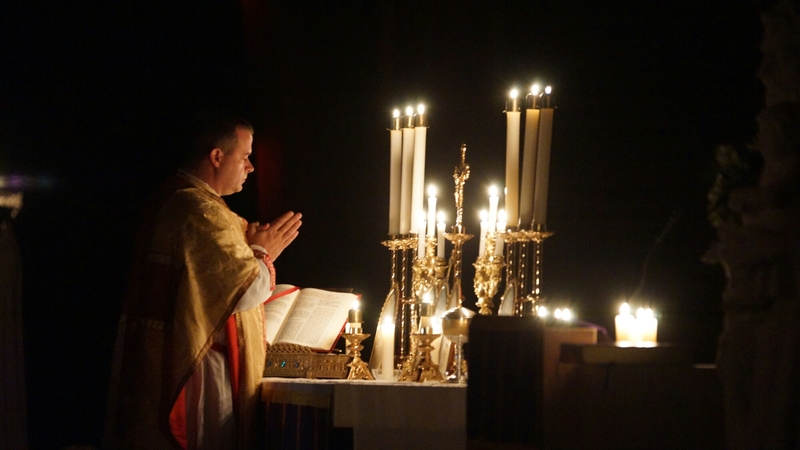 I am grateful to Mr. John Cosmas of the Charlotte Latin Mass Community for sharing these beautiful pictures with us. 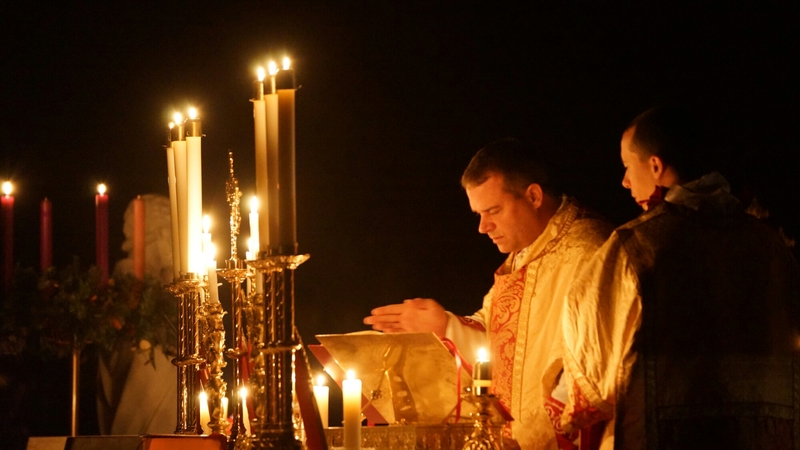 Posted on December 12, 2015, in liturgy and tagged advent, diocese of charlotte, fr. 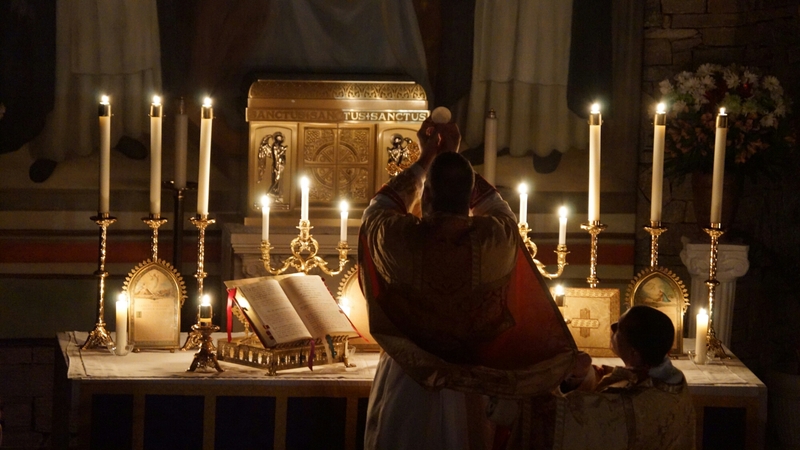 matthew kauth, latin mass, rorate mass. Bookmark the permalink. 3 Comments. 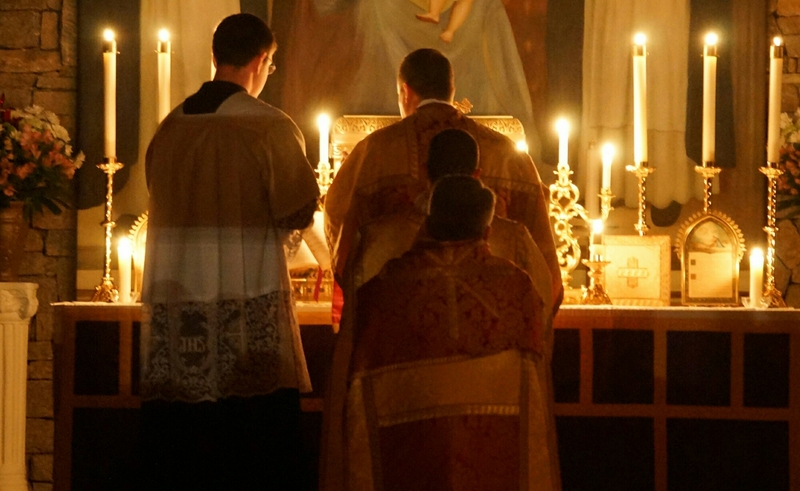 A local St Louis Novus Ordo parish is doing this next week I think. I hope to be able to attend. 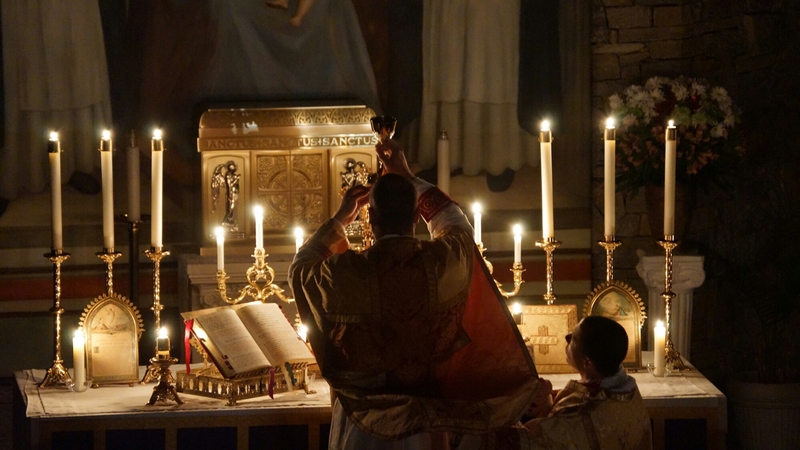 I wonder if there were other Rorate Masses this season celebrated solely by diocesan priests? will look about. 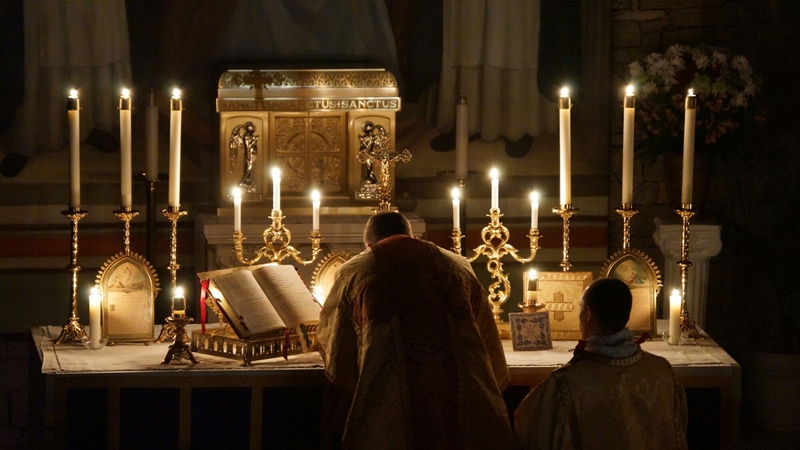 The Charlotte Mass looks to have been quite splendid. Thanks for posting this.